Now I know I am posting two reviews in one day but THIS one is a part of my weekly wax review! So on to OWH!!! 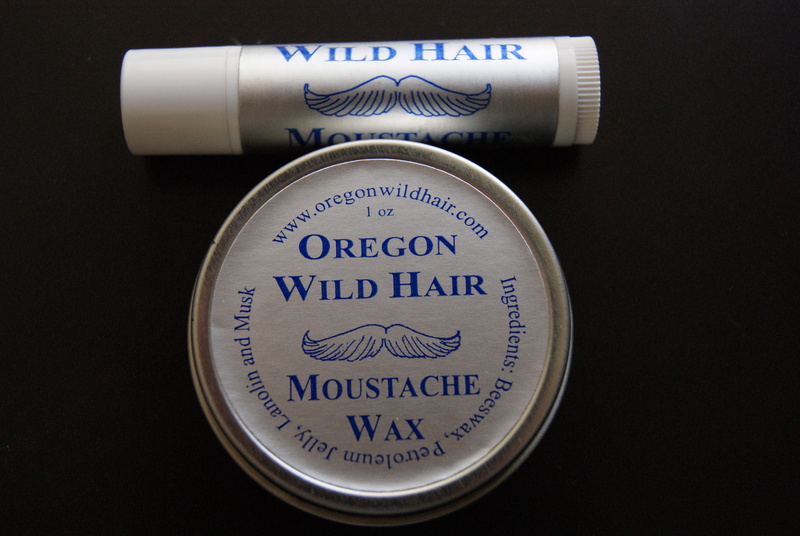 During my initial search for moustache wax I came across Oregon Wild Hair, I was very interested in this wax because of all the reviews and how popular this wax seemed to be. With a huge help from Mark and Susan I received a tin and travel tube of their OWH Moustache Wax. Since I had heard so much about OWH I was stoked to finally get to try it out! The tin and travel tube of wax. 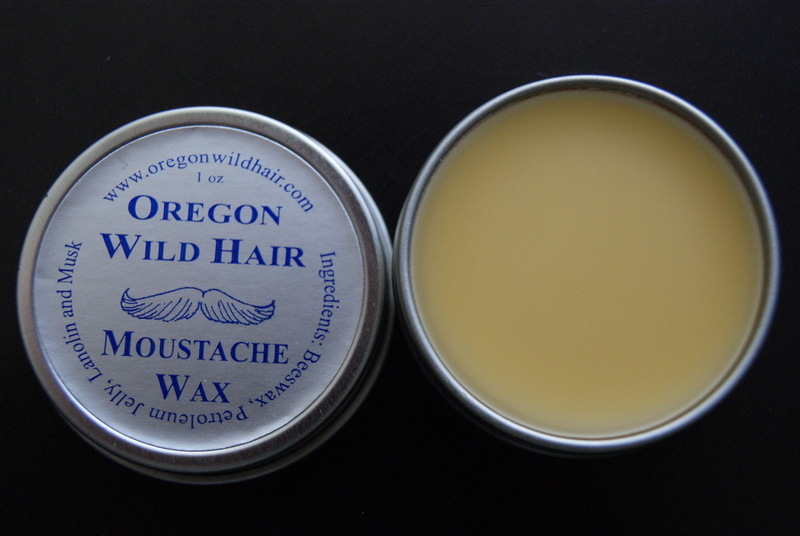 Oregon Wild Hair is a great medium hold wax. I did enjoy my experience with this wax (other than the smell, sometimes) but I would definitely recommend OWH to the fellow ‘stacher who is looking for an overall good wax to have in their collection! For beginners I would say this is the perfect wax, as you wont have any trouble warming this stuff up and applying it to the ‘stache without ripping out any hairs. Another great thing about OWH is that it stays pliable throughout the day, so if it does need fixing you won’t have to go through much trouble to do so. OWH is a great wax to add to your collection, and at $9.45 per tin with free shipping(In USA) it is a great deal! With very kind people and great customer service you can’t go wrong! Plus they also sell brushes, mugs, and apparel, so go give them a look and order some of their wax! Again I must send a HUGE thanks to Mark and Susan for their support for this blog! Keep that upper lip stiff! I have been using OWH for over 5 years now, and am very satisfied with it. It is a medium hold, so it’s a little looser than say, clubman, but I do like the hold and find it worlks well throughout the day. OWH is my go to wax. Have been using it for years and others just don’t compare. I dont konw about OWH. I like to wear a Dali or Handle bar and this stuff really wont let me. It will let me wear a natural looking stache and leaves it shiny, but I was expecting a little more hold from it. Good looking tin and smells nice, but not for me. Will just add it to my tin lid collection once finished. Oh I should Mention I live in Tempe AZ and not much stands up to the heat here. Even Wacky Tacky will droop outside.